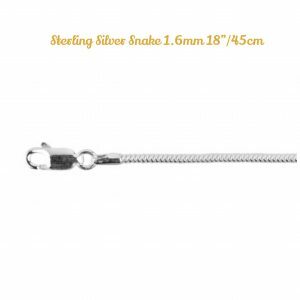 Sterling Silver Snake 1.9mm 18″/45cm Necklet perfect for any charm. 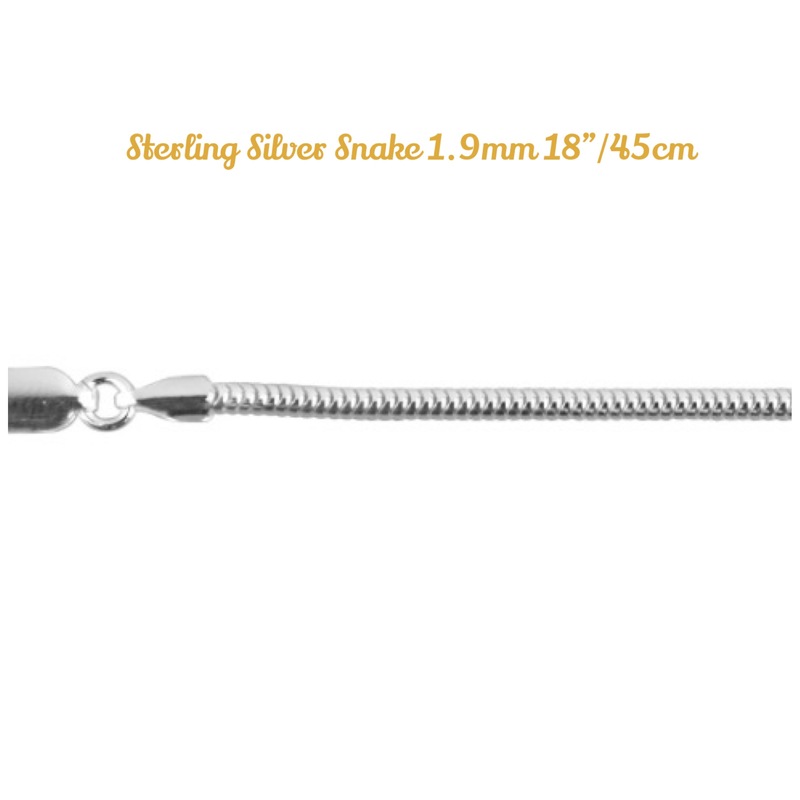 This round snake chain necklet in Sterling Silver measures 1.90mm in diameter and has a total length of 18″ (45cm). Thin links, made up of lightly curved plates or bands, are tightly woven together to form a continuous, sleek and smooth chain. Although its surface appears effectively closed, snake chain is very flexible, making it an ideal contemporary pendant chain. This chain is fastened with a lobster trigger clasp. Perfect necklace to showcase your personalised charm.